My all-time favorite book on leadership is Leadership is an Art by Max DePree. Books can reinforce principles we already embrace, and they can stretch our thinking in new directions. To some degree, what we learn in books shapes our lives and impacts the choices we make. In this segment of my blog, I will share my thoughts about books I have read. 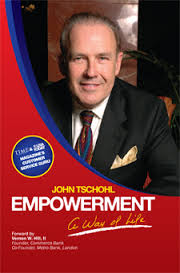 John Tschohl’s Empowerment, A Way of Life is the most significant work on genuine employee empowerment that I have ever read. John explains true empowerment in clear terms, with pragmatic advice on how to create the corporate culture so genuine employee empowerment thrives, with examples that all can understand. John not only explains what employee empowerment is, but he also outlines the boundaries of empowerment. This is a must read for any leader of a company, large or small, who wants to improve customer service and enhance employee morale at the same time. Have you read this book? Share your thoughts in a comment. May 7, 2010 I just finished reading Creating Competitive Advantage by Jaynie L. Smith. What a great book to cause business leaders to think back to basics. It’s so simple: to be successful you need to be able to convince your market to do business with you instead of with your competitors. The key is to know what your competitive advantage is and then making sure your customers know what it is and build your strategy around it. Northeast Delta Dental’s competitive edge has been called the “Delta Difference” – a commitment to excellence and extraordinary customer service. Because we know that retaining our existing customers is less expensive than marketing to new customers, we work to build our success on their trust. Our customers value our stellar service and are willing to pay more for this most distinguishing attribute of our company. To remain competitive, one must constantly analyze one’s position to determine when new measures of success may emerge, always striving to know what it is that your customers want. 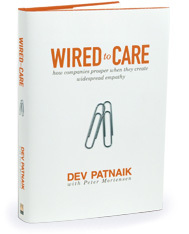 April 26, 2010 I just finished reading Wired to Care by Dev Patnaik and strongly encourage you to pick up a copy. The definition of empathy is to be able to project yourself into another’s position to better understand and share in their emotions, thoughts or feelings. Work-life balance is critical to healthy human beings and I’ve always believed in the golden rule. The challenge is to practice this when life is throwing curve balls. Success can take on a life of its own but the secret is to remain grounded in your core beliefs. If we could all live a little softer and a little gentler the world would be a better place. You have a new opportunity every day to make that difference; grab hold and don’t let go. 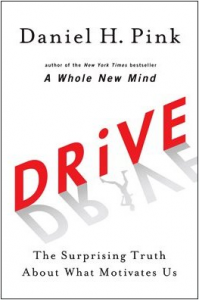 February 17, 2010 Daniel Pink’s Drive: The Surprising Truth About What Motivates Us is a great read for business leaders or any leader responsible for motivating and energizing people to be the best they can be. No longer is the carrot or the stick the appropriate means, rather, think back to Maslow’s self-actualization, the pinnacle place in the hierarchy of needs, the place where you want to be as a growing human being. Autonomy, mastery and purpose — Mr. Pink outlines several approaches to put these into action, so that people with whom you work or play will be at their best. Please let me know what you think. Thank you. 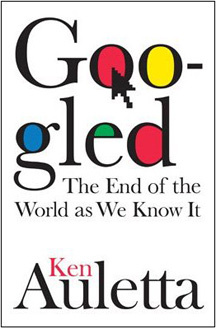 Ken Auletta’s Googled, The End of the World as We Know It, is over 335 pages, but worth the read, because the author succeeds in two respects — 1) he not only profiles the principles of a successful and transforming company (Google), with inside insights on culture and leadership but 2) Auletta also gets into Google’s dramatic impact on the media in general, and where media is heading. The other book I was reading simultaneously to Googled is Malcolm Gladwell’s What the Dog Saw, a collection of Gladwell’s most interesting pieces from The New Yorker. You will read about inventors, entrepreneurs, ultimate sales people; discussions about plagiarism, profiling, and the talent myth. A really cool collection of essays, on a variety of topics. You can skip around if you wish; great for a Sunday afternoon. If you’ve read one or both of these books, what do you think? November 8, 2009 Over this weekend I read Rosabeth Moss Kanter’s new book, Super Corp — How Vanguard Companies Create Innovation, Profits, Growth and Social Good. The basic theme of the book is that corporations can serve society as well as the corporate bottom line. I am personally, and the Northeast Delta Dental enterprise, are big believers in this “doing well, by doing good” philosophy. Ms. Kanter’s research corroborates that businesses that have customer focus, stay ahead of the curve in terms of market changes, and are financially sound, are also the businesses that are socially responsible, good corporate citizens. As I have described in prior blogs, in all the best company panels that I’ve participated, this theme is universal for these best companies, regardless of industry. October 5, 2009 Based on a recommendation from my Delta Dental Plan of Vermont Board Chair, Mr. David Anderson, I recently read a very lengthy book on the epic life of Cornelius Vanderbilt, called “The First Tycoon” by T. J. Stiles. This biography is well documented by Stiles, and there are some great historical pictures included in the book. 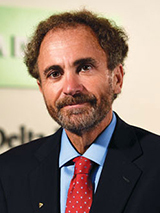 Stiles believes that Vanderbilt is one of the major players responsible for shaping the development of the U.S. Economy. It’s relevance for today: even though Vanderbilt lived centuries ago, it is clear that the issues which caused our recent collapse of the financial markets, and ethical issues in business, are not new; and we keep repeating many of the same mistakes and cycles. On the other hand, Vanderbilt’s story makes it clear that if one is brilliant and works hard, one can be very successful even without a formal education. I’ve also believed that working hard and communication skills are the keys to a successful career in business. You know, I keep re-reading W. Edwards Deming’s “The New Economics” and I keep learning more from it–about leadership, process improvement, performance excellence, and how to approach business problems. Last week I attended a seminar given by Toyota Way author and guru David Meier, and it’s clear that much of Toyota’s success is due to a tenaciously persistent implementation of Deming’s fundamental concepts. I learn much from the observations in the many leadership and business books I read, but there’s something that calls me back to the original sources. Deming was a bright guy. One more for you to look at:Linchpin by Seth Godin.It talks about the quality of being indispensible. Invent,lead make things happen and bring order out of chaos often resolving problems withiut a rule book. Love their work and pour their best self into it and turn the day into an art form. Another great book to help remind us of the importance of a quality focus, both from a corporate standpoint, but also personal integrity. Thanks for the recommendation. Tom R.
I lived for a long time in Europe, there I had the opportunity to work in a management company for 3 years as Director of Quality and Environment, attended several seminars and leadership courses, all focused on quality, but in the last two years I began to take courses on a new approach where quality is not spoken, but it speaks of excellence, EFQM excellence model. Consistency Leadership Excellence is providing leadership with vision capability to serve as inspiration to others and, moreover, is consistent across the organization. as he puts into practice the concept Excellent organizations have leaders who set and communicate a clear direction for their organization and, in doing so, unite and motivate other leaders for their behavior serve as a source of inspiration to his colleagues . The women leaders establish values, ethical principles and develop a culture and system of governance of the organization that offers interest groups a unique identity and appeal. Thank you for your insightful comments and observations. You are a wise observer of Servant Leadeship which I aspire to follow; I would enjoy hearing about the other concepts you reference. Please do write again. Thank you friend. Tom R.